Image courtesy of New Main Brewing Co.
With hopes of opening the first brewery in Pantego later this year, New Main Brewing Co. is entering the final stages of a crowdfunding campaign aimed at enhancing the project's vision. That vision, according to founder David Clark, is the manifestation of a core philosophy that lies at the heart of what he and wife Amanda wish to create with the company. "If you're passionate about something, you owe it to yourself and those around you to give your endeavor meaning," says Clark. 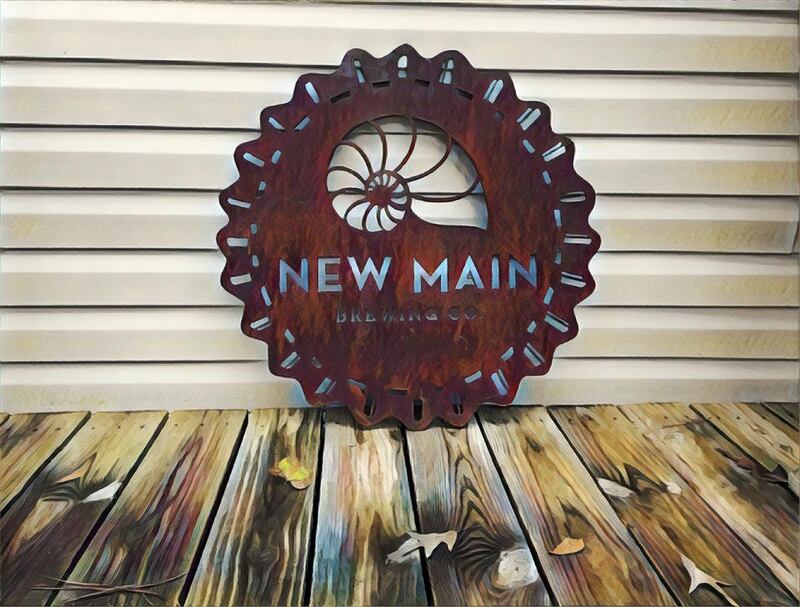 In this case, those who visit New Main will find such substance and significance in the brewery's name and how Clark will apply it when engaging his customers.The choice of a nautilus shell as the logo for the business is a further embodiment of how it will all come together, based on its identification as a "growth spiral." Naturally, the gathering point (as it were), will be New Main's portfolio of beers, the presentation of which will center around a line of six core styles offered with a set of four different treatments (i.e. infusions, barrel-aged beers, etc.). In that way, customers can discover "New" ways to enjoy their "Main" go-to beer. "Beer is about people and the relationships they forge together," explains Clark. "The symbolism of the nautilus shell, and how it uses its past to build its future, is something we want people to feel when they come into our brewery. We want our patrons to use their past knowledge of tasting our 'Main' beers as a guide for tasting our 'New' treatments, and we want them to share their experiences with friends and family." As for the crowdfunding campaign, hosted by Indiegogo, the impetus behind it represents yet another way for consumers to feel connected to New Main by being "a part of the story." Money raised will go to creating a taproom and beer garden with patio seating, yard games and an open area for festivals and homebrew competitions. Clark sees it as a place where fans, friends and neighbors can come to spend time together while catching up over a pint of New Main beer. "When they contribute to the campaign, our supporters become a part of the story in different ways," says Clark. "Above all, the campaign is meant to give the community a way to make the space their own. We want people to have their own seats at the bar with their names on them, we're letting people name our fermentation tanks, and anyone who contributes over $100 is going up on our wall of supporters so we can show our appreciation for the impact the community has had on our brewery. We'll also thank each of our contributors on the New Main blog as part of our Building a Brewery series, because without them our story would be vastly different." Anyone looking to learn more about the project can visit the aforementioned blog, where Clark takes readers on a journey from his start in homebrewing, to the week he announced plans to go pro, to weekly updates on the progress of brewery build out and more. Information can also be found on the Indiegogo campain page, where rewards associated with varying contribution levels are outlined in detail. In addition, New Main will host a Fundraising Party on Friday, March 31 at the Pantego Lions Club (located next door to the brewery). Attractions include food, live music, door prizes and a live auction. Tickets for the event are $15pp and can be purchased through Eventbrite.